Stone the Roses, have you seen these mofos? I know, not to everyone’s taste, or price bracket to that point, bit I think these are some serious rockin’ treads. 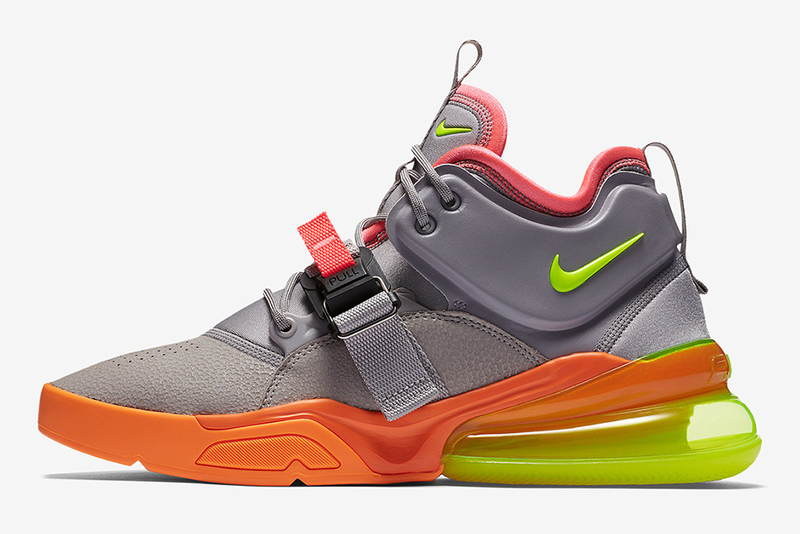 The Nike Air Force 270’s are one of the newest of the brands hybrids. 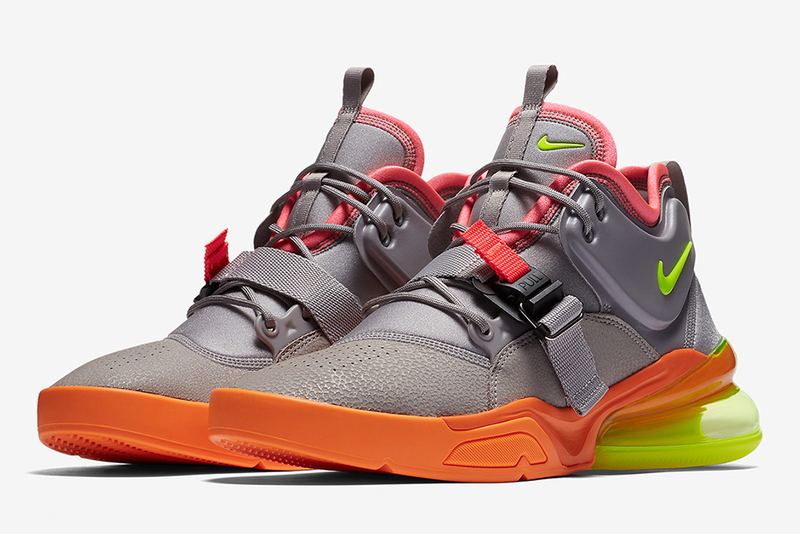 Based on the original Air Force 180 basketball trainer of 92, the update ads modern styling and new colours. Although this does look like it belongs in the 2015 of Back to the Future. 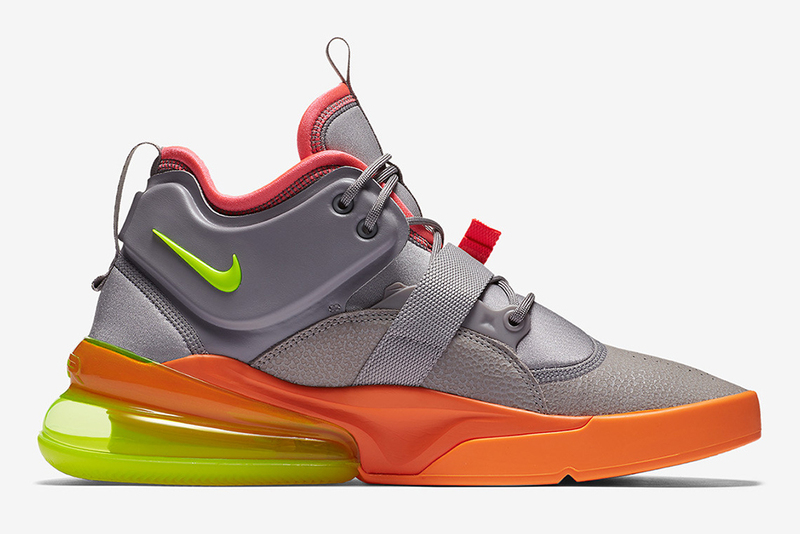 It boasts a new 270-degree Air Max unit on the heel that’s highlighted by touches of orange, volt, and red, popping alongside a grey upper. One of the eye catching features of this trainer is the mid-foot strap, which is handy if you forget how to tie your laces.